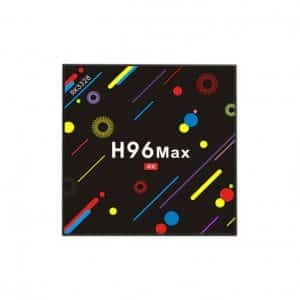 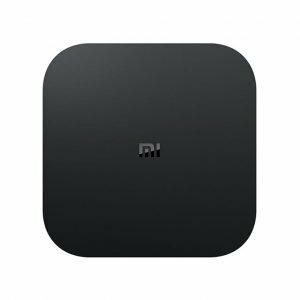 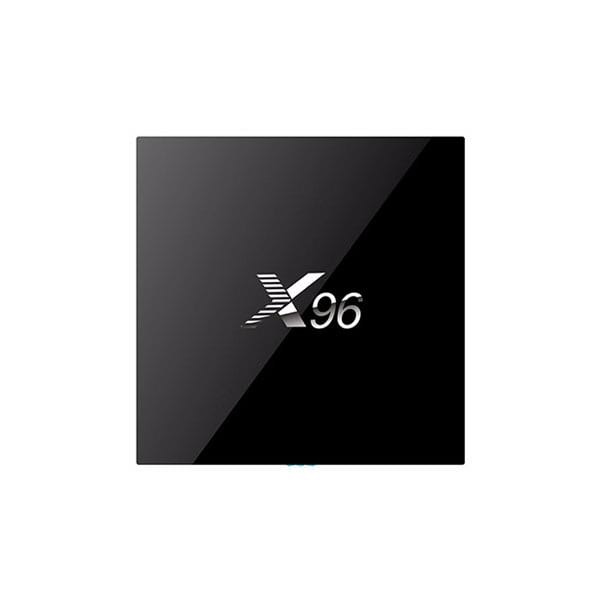 X96 Android Tv Box 2G/16G edition has 2GB RAM, 16GB ROM, 2GHz Amlogic S905X Quad Core CPU and 750 MHz Mali 450 Penta Core GPU. 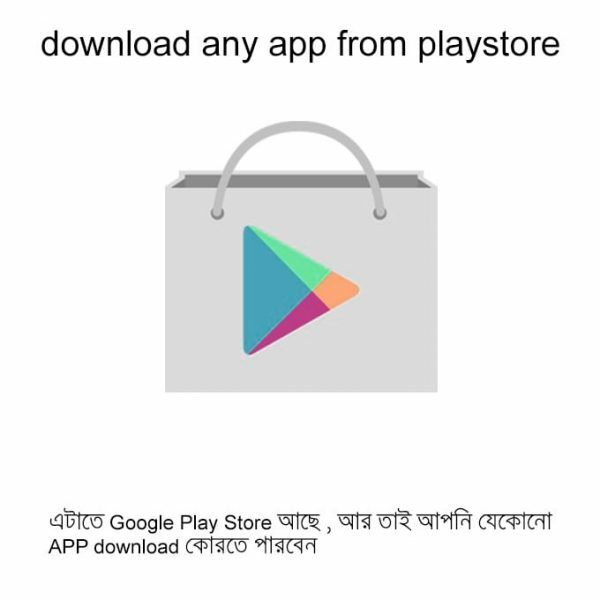 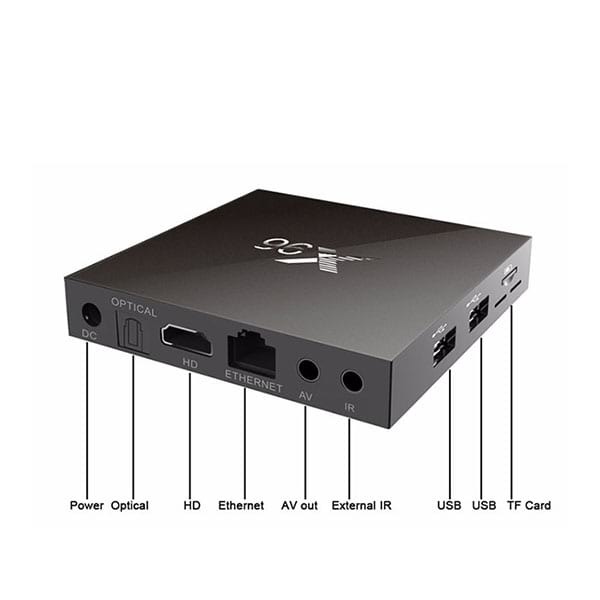 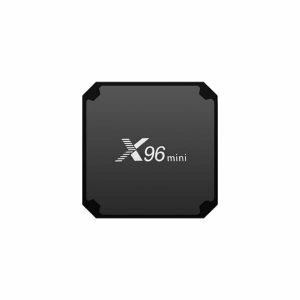 You can connect the x96 android tv box to any TV , monitor or projector. 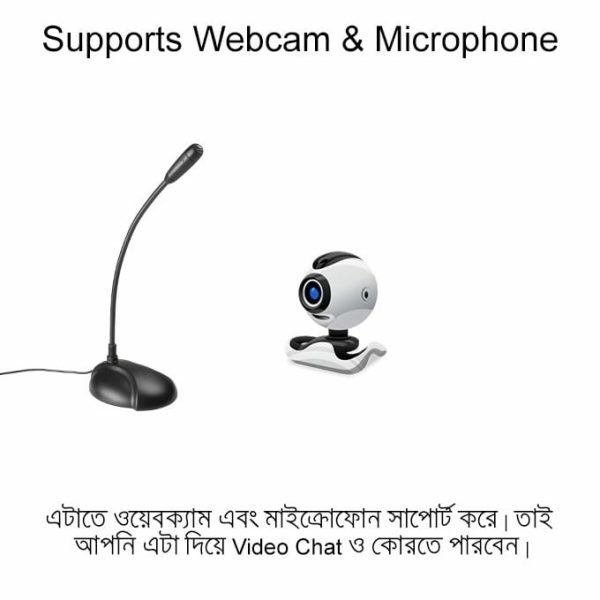 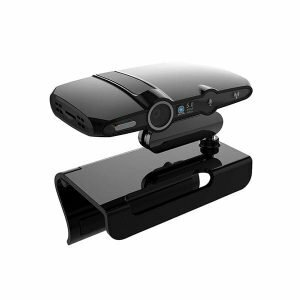 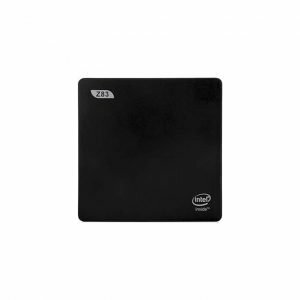 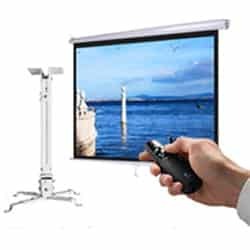 It can be connected to LCD and LED Televisions using the HDMI Cable . The HDMI Cable is included in the package . 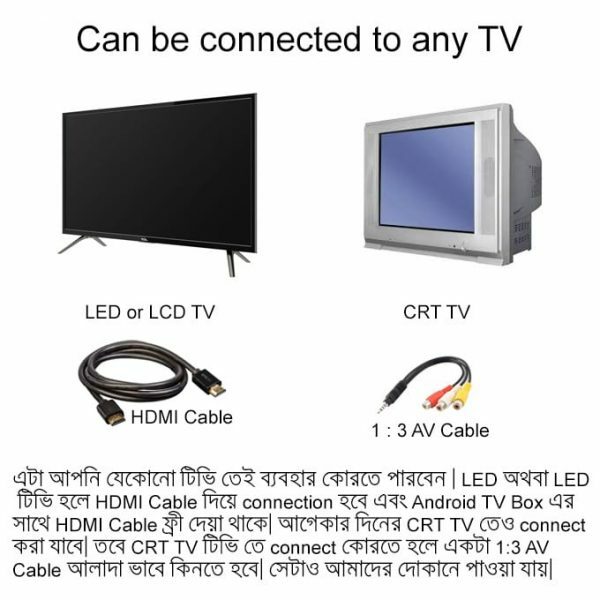 You can also connect the x96 smart tv box to CRT TV using a 1:3 Av converter cable but it has to be purchased separately. 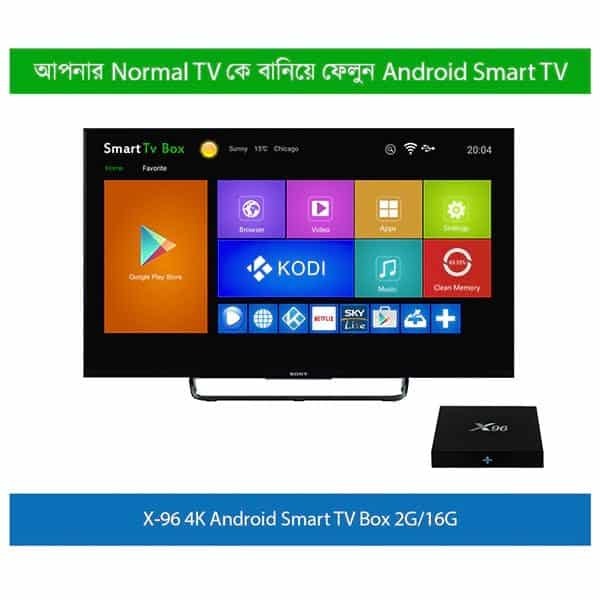 You can also connect the x96 android smart tv box to monitors. 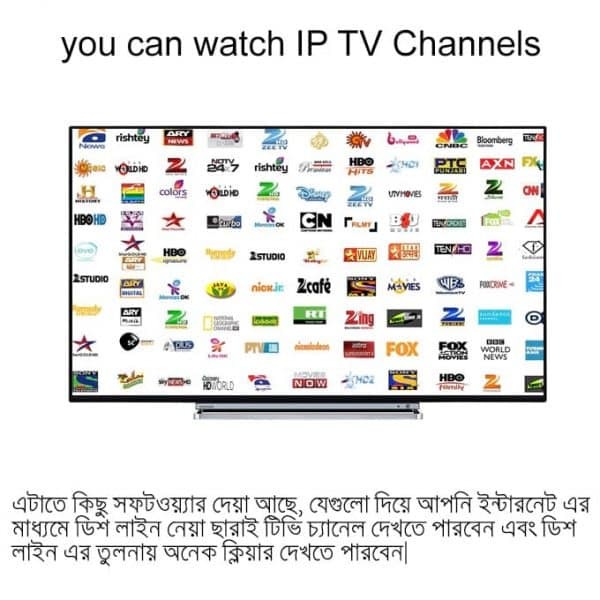 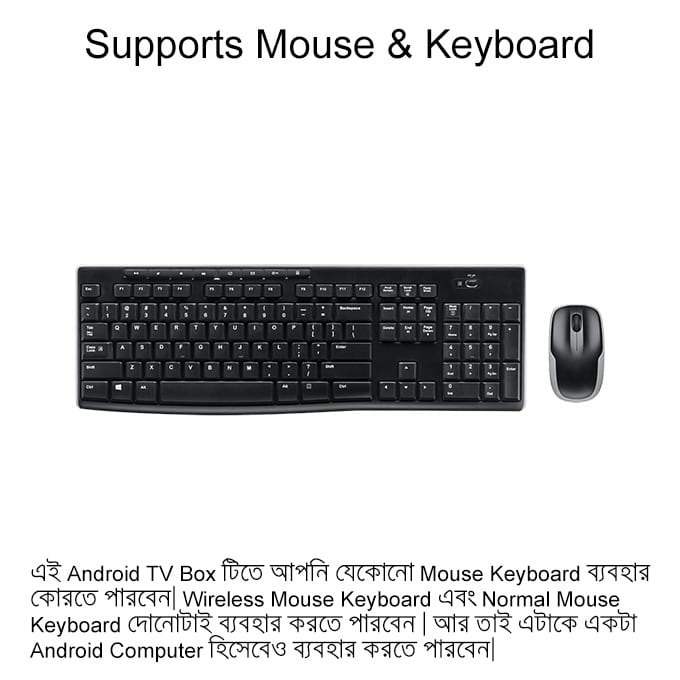 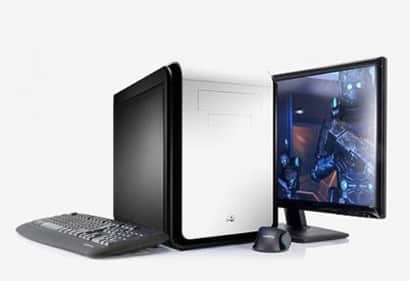 If your monitor has HDMI port then you can connect the tv box to the monitor directly using the HDMI cable provided with the package. 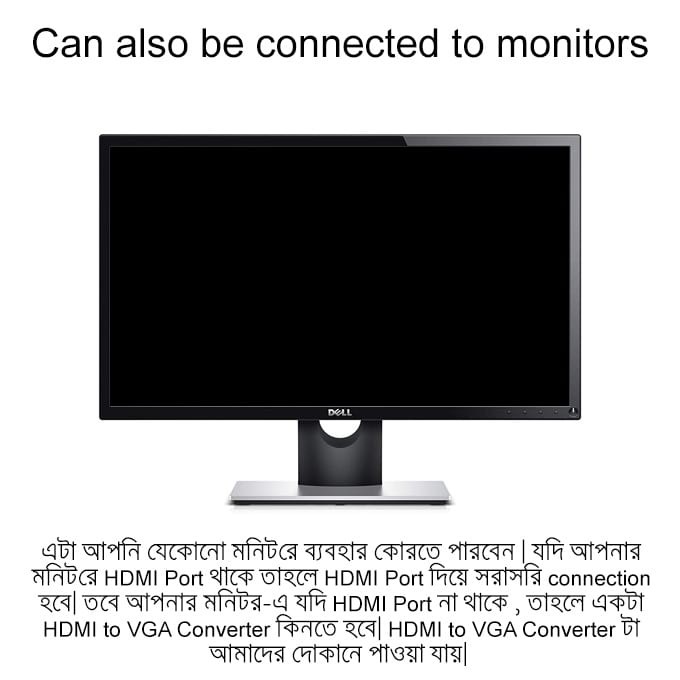 But if the monitor has VGA port, then you have to purchase a HDMI to VGA converter.